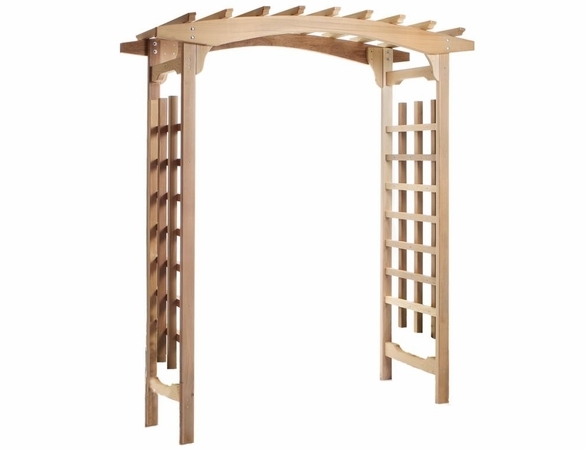 The Western Red Cedar Wood Pagoda Arbor Kit from Cedarwood Furniture will add a note of gracious living to your home’s outdoor environment, whether you use it as a garden or yard entrance, or make it a centerpiece of your property. This pagoda kit includes everything you need for easy assembly, including wood, hardware and instructions. Cedar’s natural protective oils mean it will resist the onslaughts of weather and insects.